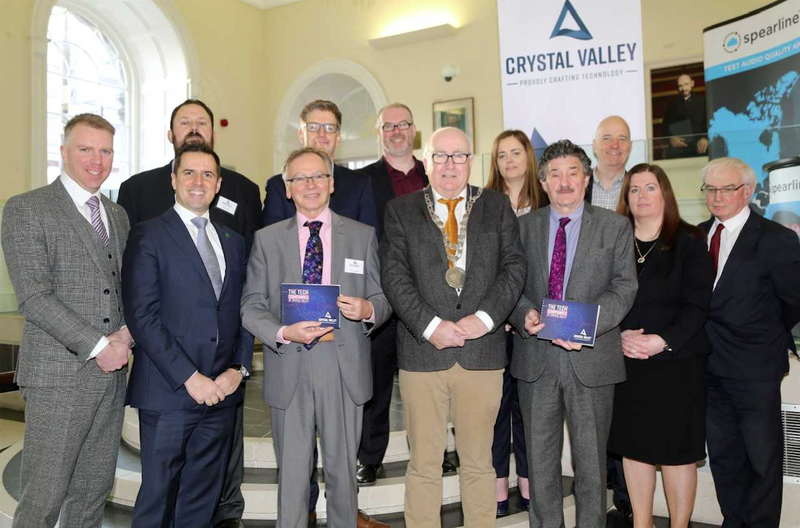 Crystal Valley Tech was formally launched in Waterford on 26 February 2018. It was established in August 2017 by a group of people from the Tech Industry in the South East to promote the South East region as a location for ICT investment. Their mission is to promote and support Tech in Waterford and the South East. In addition it will act as a voice for the industry in the development of local / regional and national economic and investment policies. The speakers at the launch included the Mayor of Waterford Pat Nugent, Ministers John Halligan and Jim D’Arcy, IDA CEO Martin Shanahan and EI Head of ICT Niall Donnellan. The Crystal Valley Tech companies booklet list over 80 high technology companies located in the region. Crystal Valley Tech organised an ICT second level schools event in the Waterford Arena on Thursday 9 November. The event attracted more than 800 students and there were 60 attending companies.